When content consumers have reactions like that, it delays them from sharing your content and subscribing to get more — ultimately increasing the chances that the content will be forgettable. Conversely, when your content resonates with your target audience, your platform becomes a resource those individuals will remember and return to. Below, I’ll cover what they are, why they complement each other, and how you can put both of them to work in your own content marketing. Here are my definitions of Structure and Intrigue, for the purpose of this article. Structure: The intentional order in which you present the message of your content and its supporting points. It’s an outline that ensures your content is complete, without logical fallacies or misleading phrases that cause confusion. Structure isn’t always the most exciting subject to talk about, but it’s a part of all winning content. It’s vital to set your Structure before you infuse your content with your personality. You need a strong foundation before you stamp your content with your special brand. Your audience will appreciate your unique qualities and creativity much more when you intentionally plan the Structure of your content. No matter how effortless smart content may look, it takes a lot of effort to produce a cohesive content presentation. The right Structure gives you the security and freedom to be creative with confidence. Once that foundation is in place, you’re well-positioned to add Intrigue and give your audience a reason to consume your content rather than look elsewhere on the web. For example, if an issue arises in your industry or a big event happens, where do you go to get more information? Which person or website do you want to hear from? When you want an opinion or analysis from a specific person or website, that specific person or website doesn’t just produce “content”; they produce value that you’ll use to learn more about a topic. And they’ve achieved that highly regarded status in your mind because they’ve balanced Structure and Intrigue. 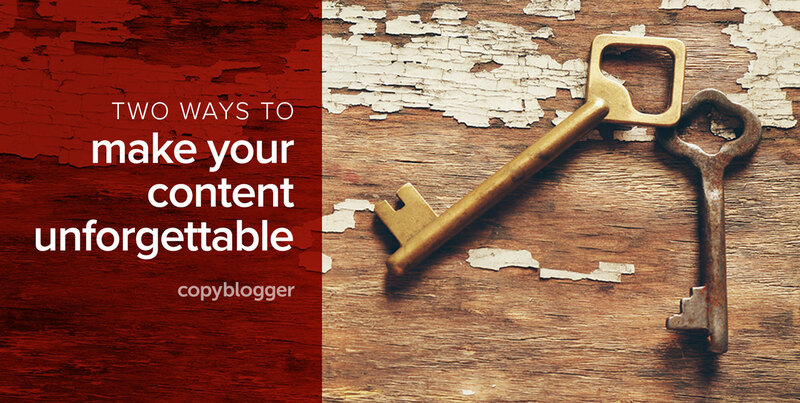 After you write a draft of your content — whether it turns into a blog post, podcast episode, or video — use the steps below to assess and refine its Structure and level of Intrigue. Summarize your main message in one or two sentences, on a piece of paper or text file separate from the draft of your content. Locate where you introduce this clear message in the beginning of your content. Identify the logical sequence throughout your content that walks your readers, listeners, or viewers through the information you want to communicate. Reinforce your main message in a different way at the end of your content. If you have trouble with any of these steps (particularly #3), you likely need to spend more time nailing down the best Structure for your content. What type of presentation will help your audience understand your ideas? How can you clarify your intentions? Summarize the aspects that make this content stand out in one to two sentences, on a piece of paper or text file separate from the draft of your content. Locate the parts of your content where you add your voice and fresh perspective — especially in your headline or title. Identify how you help your audience with innovative solutions or approaches to their problems, showing them that you offer something special. Reinforce your brand by concluding your content in a memorable way that will inspire your readers, listeners, or viewers to return the next time you publish. If you have trouble with any of these steps (particularly #3), you likely need to spend more time nailing down your USP. What makes you and your content unique? What types of benefits, community, or style do you offer that others don’t? See how each of the Structure and Intrigue steps above complement each other? They need each other to effectively demonstrate your winning difference and satisfy the audience that will build your business. What’s your method for turning ideas into satisfying content? Let us know in the comments below. Great point on having a complete content versus incomplete content. It is one of the reasons I struggle with keeping up a regular posting schedule because something always feel “missing” from the post. I actually finished revising a draft today after reading a suggesting by a trusted coworker who suggested there should be an intro paragraph following a sub-heading. She mentioned how it felt like she was jumping right into the list without any kind of explanation. That ties exactly what you said about structure. Thanks for reminding us why quality versus incompleteness matters. Thanks for sharing! It definitely takes practice to find the balance between producing the quality of content you’re aiming for and not being too caught up with perfectionism so that you publish regularly. Thanks Stefanie – I’m a big fan of using a template to get your thoughts in order and to help the reader follow your argument. I would also add to not take on too much. I think a blog (with lots of exceptions) is for a quick read about an important topic that can be addressed in under 2,000 words. More than that an you will lose readers. “Don’t try to do too much” is advice I often give as well, Hugh! It’s quite relevant here, in terms of “satisfying” content. In many cases, a focused argument on one topic is more valuable (“satisfying”) than a long argument with lots of tangents. I agree with you on that, not to have too much. Thanks for the great post Stefanie. It really helps me to make my awesome content and people loves to follow my content. Thanks for the great post. This truly does have some great information. Ever since we focused on getting our content correct we have had some truly great results in that matter on getting online business. Thanks for sharing this helpful pointers in organizing your content as well as your thoughts in order to captivates readers and viewers. Thanks for pointing out essential elements needed for a well organized ideas and unforgettable content. The regular maintenance of the website content – is a consuming task, especially if you aim to make it interesting for the visitors! And, in my opinion, to make the unforgettable content – further efforts are needed. Your advice in this part have been useful for me. And, I hope, this will help me to overcome the torment in the preparation of the content for my website. Hey Nick. Content is never torment. It’s just a matter of communication and research. Sometimes you just need someone with the right way with words to link those two. I might be able to help with that. ? Your article is a perfect example of what you teach. Thank you for your input! I’ve committed to a daily blog post since October 29th this year until Christmas 2017. My technique at the moment is write freely, allow the idea and epiphany to land amidst the flow, edit, rewrite, publish. The process has taken anything from 5 minutes to just under an hour. I even did a spontaneous post about it. My recommendation is first freewrite and publish. Sleep on it and then use the content and structure outlined above to re-publish a version 2. Intrigue. I couldn’t agree with you more. I read excellent content on a variety of blogs which all do an excellent job of expressing their points. But so many miss the boat by not getting personal. That’s my own unique selling point. For example, one of my recent articles talks about how affiliate marketing is why I live in a TeePee. That article has gotten a ton of traction simply because it brings in intrigue. Great tips about building a strong structure for a blog post. These are so valuable tips for new bloggers. Thank you for helping us improving our writing skills. Good job Stefanie. Hi Stephanie! I always come to Copyblogger because you provide well-researched, engaging content about the nuts and bolts of content/copywriting. I love how you tempted followers with the invitation (in my inbox) and then gave us something to sink our teeth into–presenting delicious content in a fresh, intriguing way–just in time for Thanksgiving! Your writers always reference thought leaders in the industry and provide great resources. Thank you for providing such valuable content. Stephanie, you are so right about the #3 of structure – logical flow of ideas through the article. I find it difficult to do that, so I have the logical flow for each of the subheads, though I feel ideal scenario would be where each subhead seems to come out logically from the previous para/sentence. Your article is excellent. Thank you for sharing your points on how to make a “content” more captivating to the audience. The steps on Structure and Intrigue are beneficial.